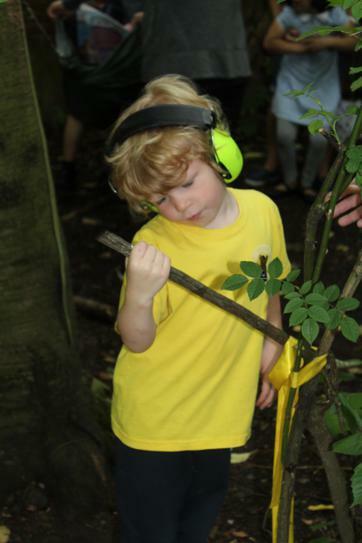 Of course Forest Schools isn't all lighting fires and using the bow saw! 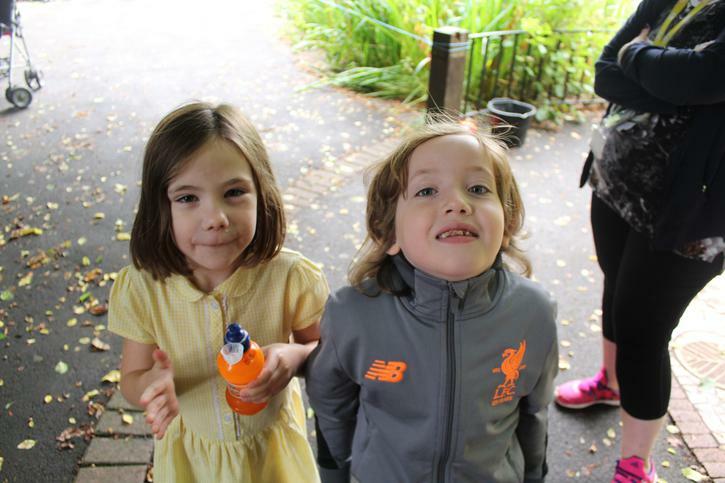 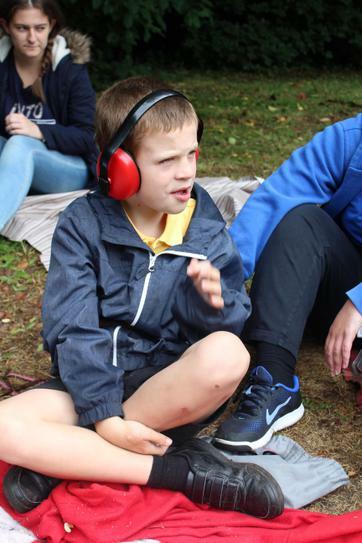 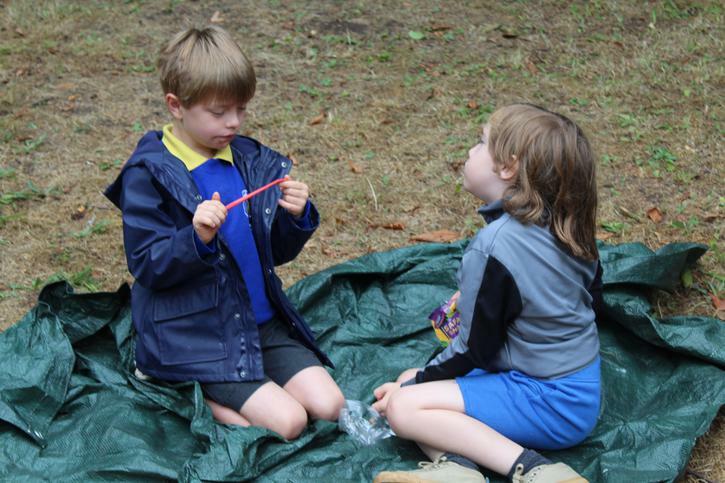 A lot of the enjoyment which the children are gaining from being in the Forest is simply from being in the great outdoors with their friends! 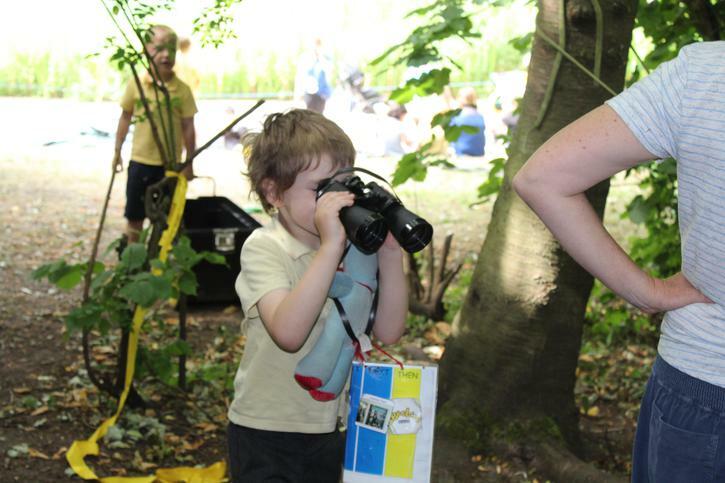 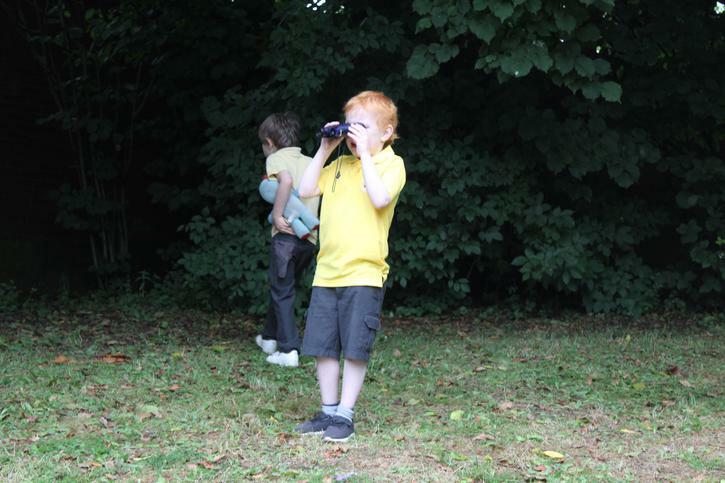 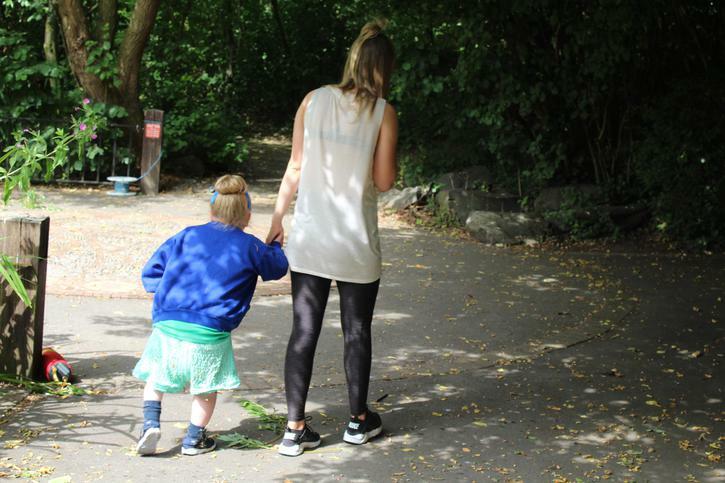 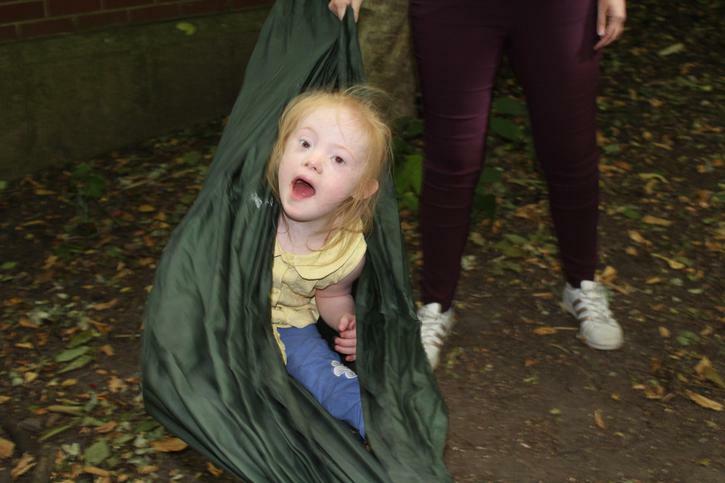 During our Forest Sessions we have seen the children's confidence blossom as they happily run off to explore with their friends! 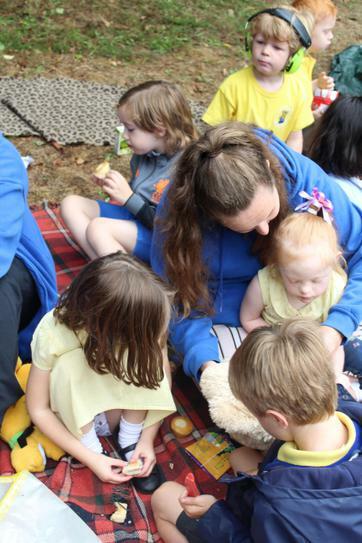 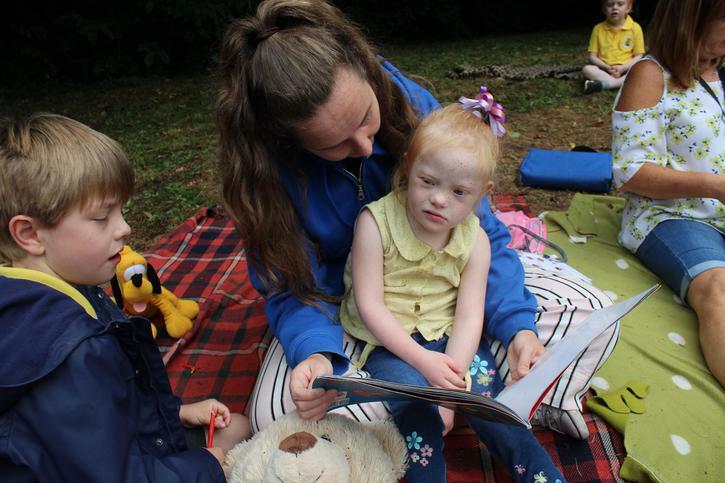 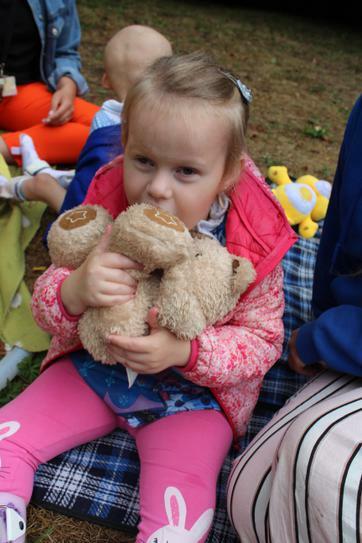 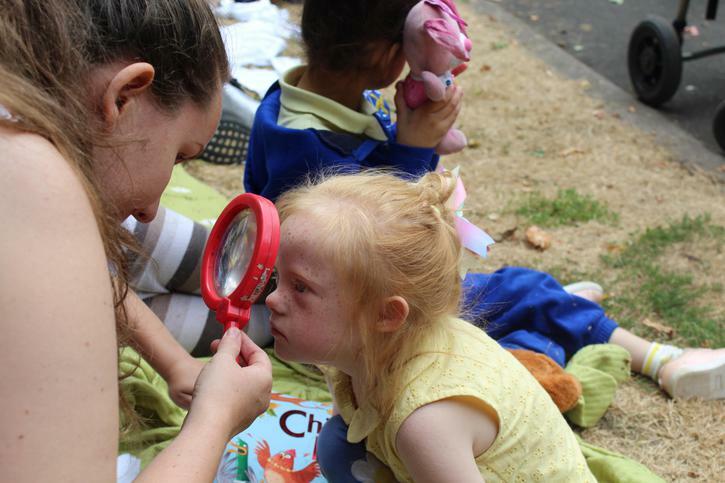 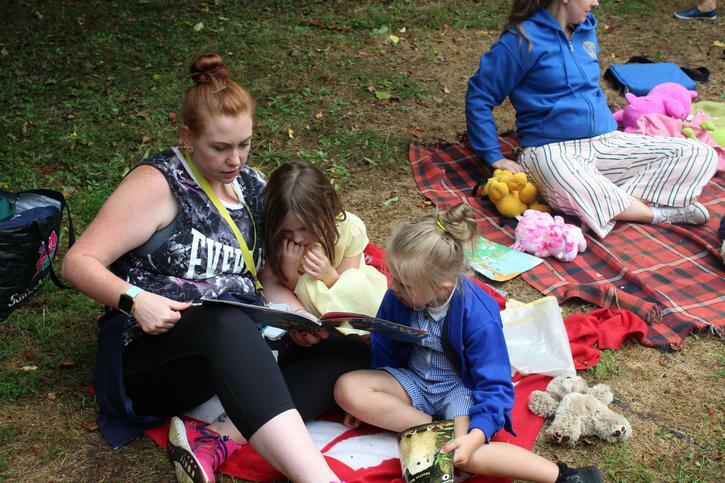 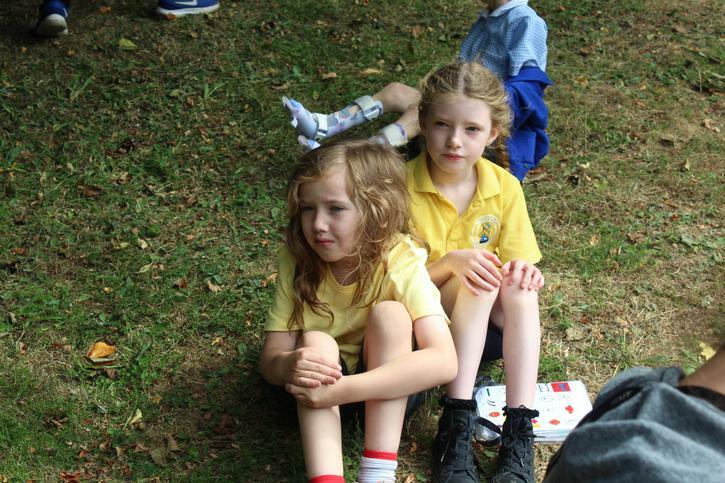 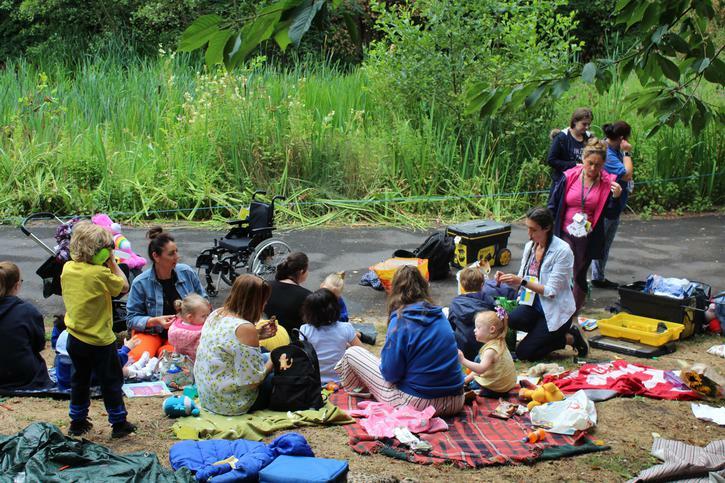 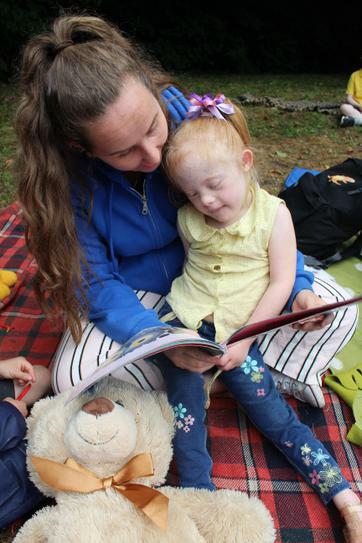 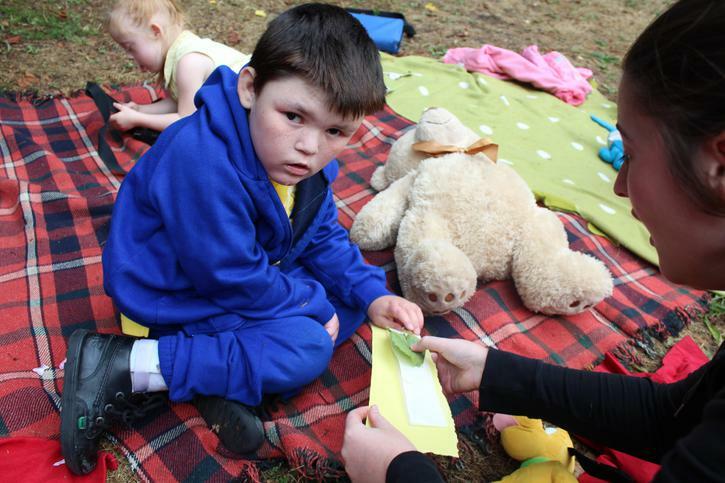 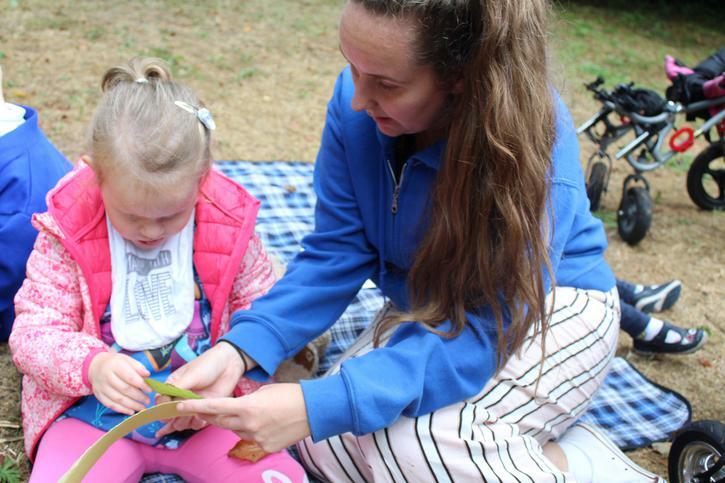 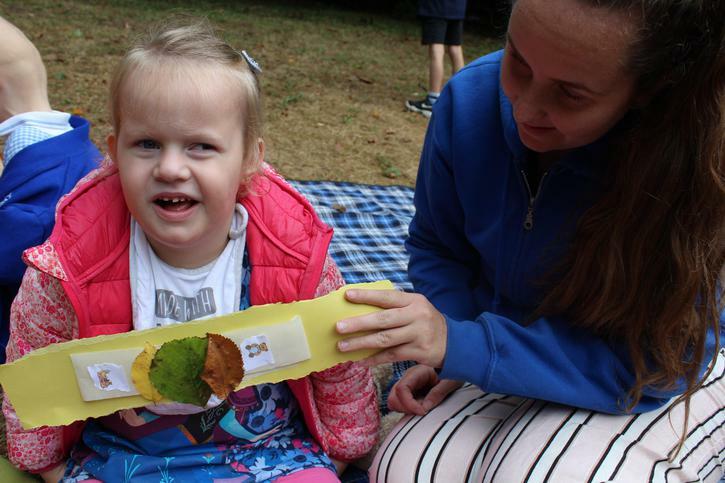 Children from different classes come to Forest Schools and sit together on the blankets sharing books and exploring all of our different resources. 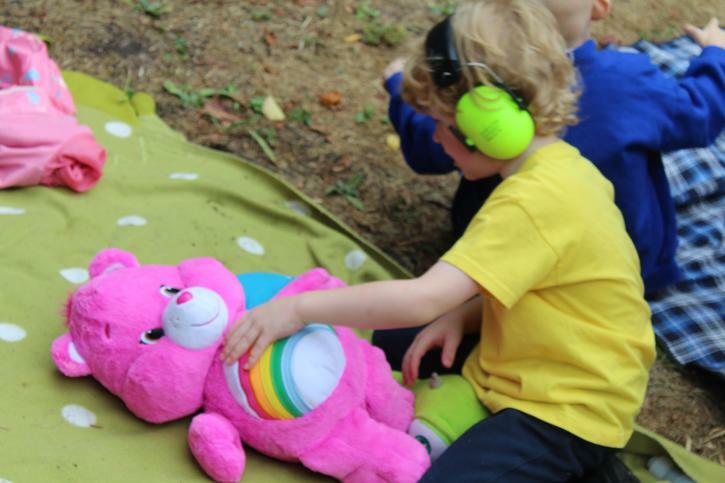 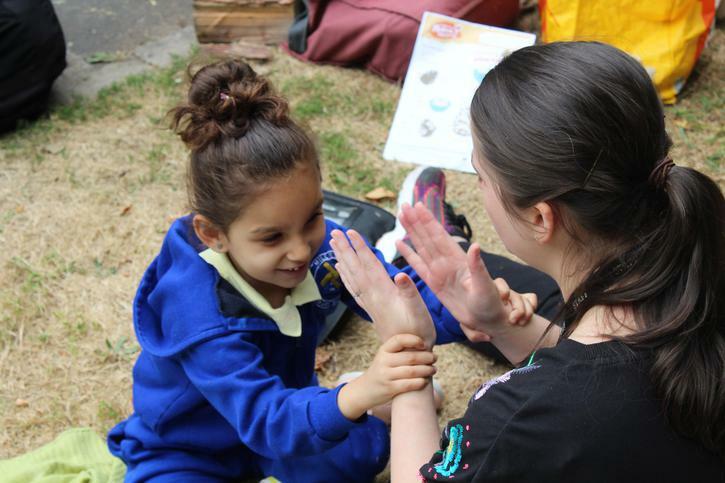 Children are able to make excellent progress with the communication as they are interested and engaged in their surroundings! 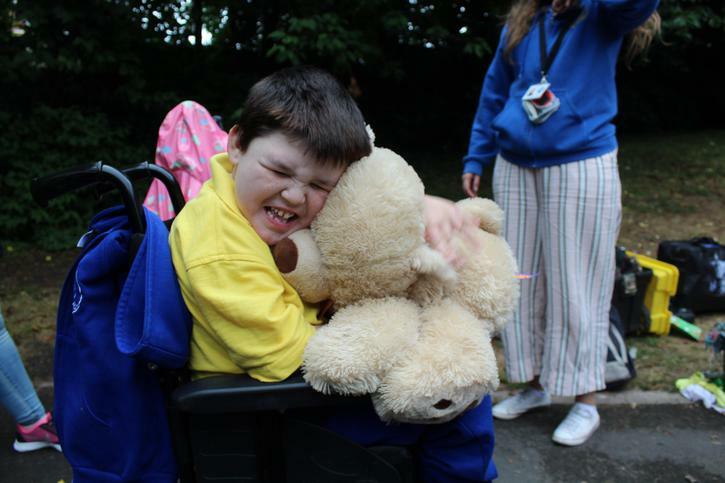 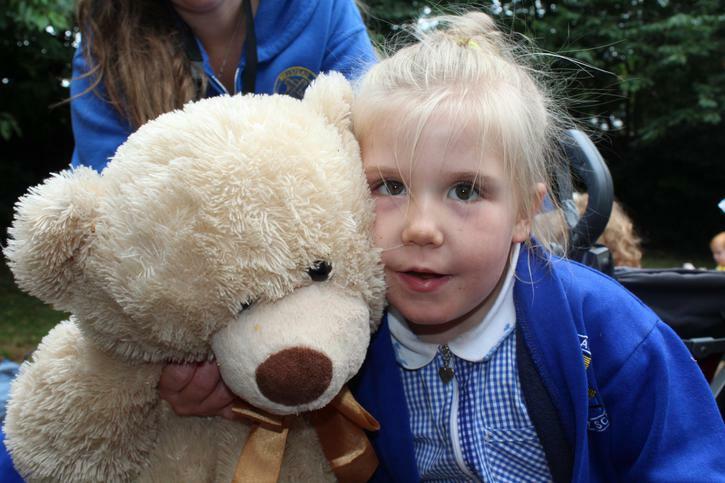 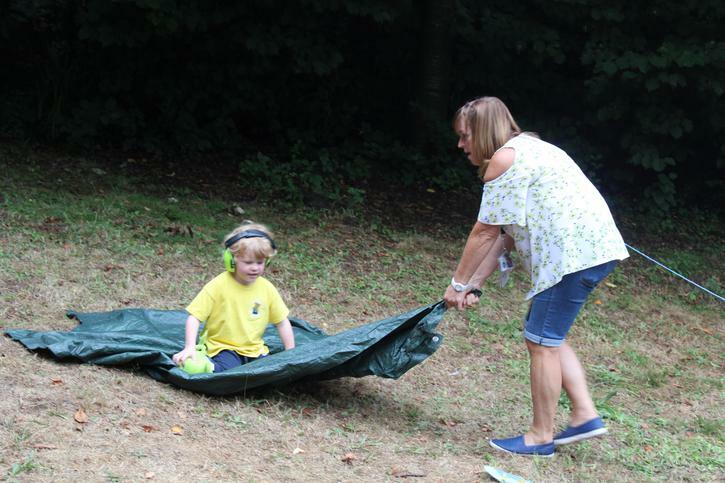 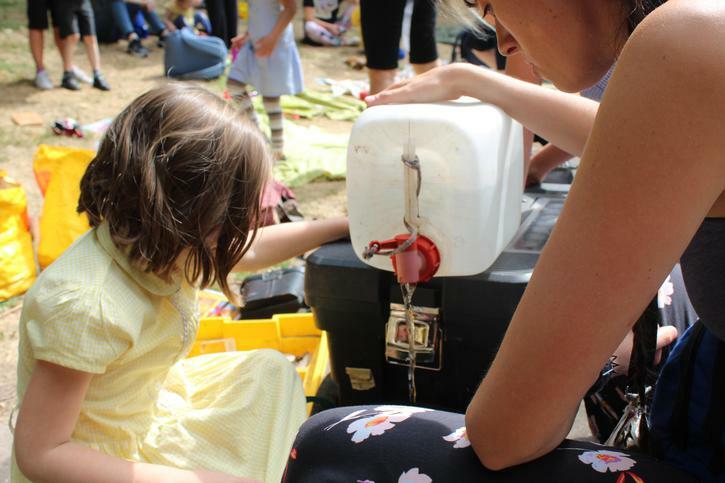 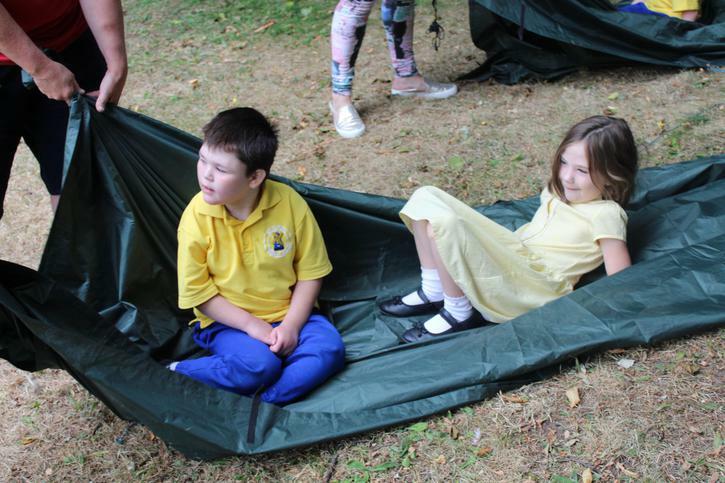 This year we've enjoyed plenty of games of hide and seek, rolling up and down the hill, chase, using the tarpaulin as a train, and just being the active adventurers we love to be!